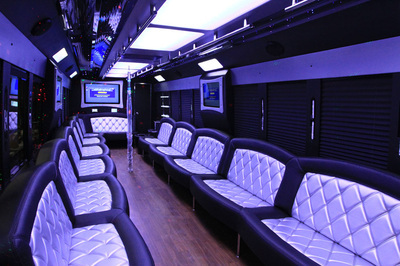 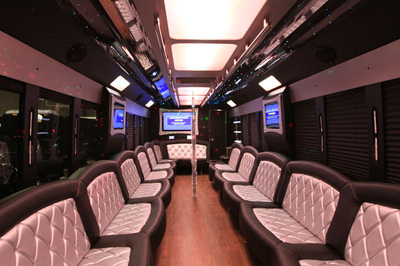 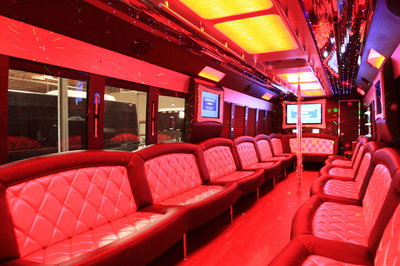 This brand new F-750 Tiffany built limo bus is the largest and most technologically advanced party bus in Chicago. 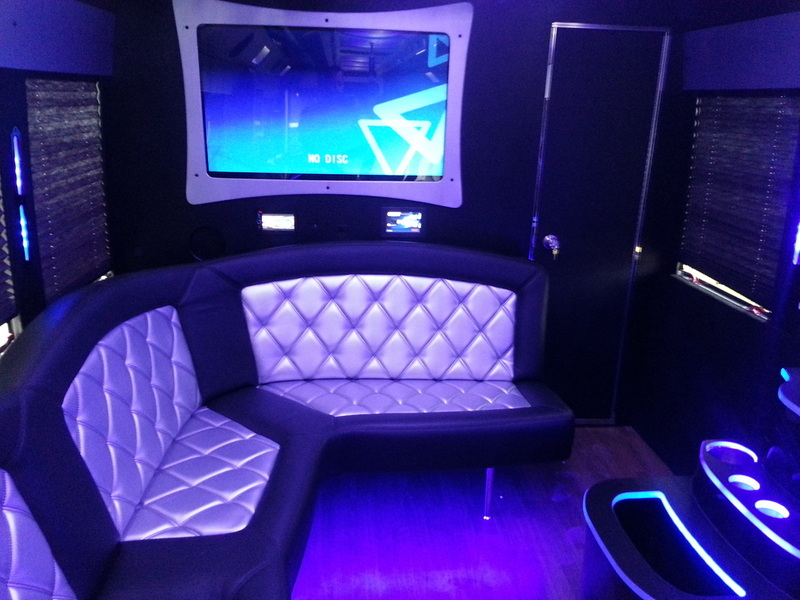 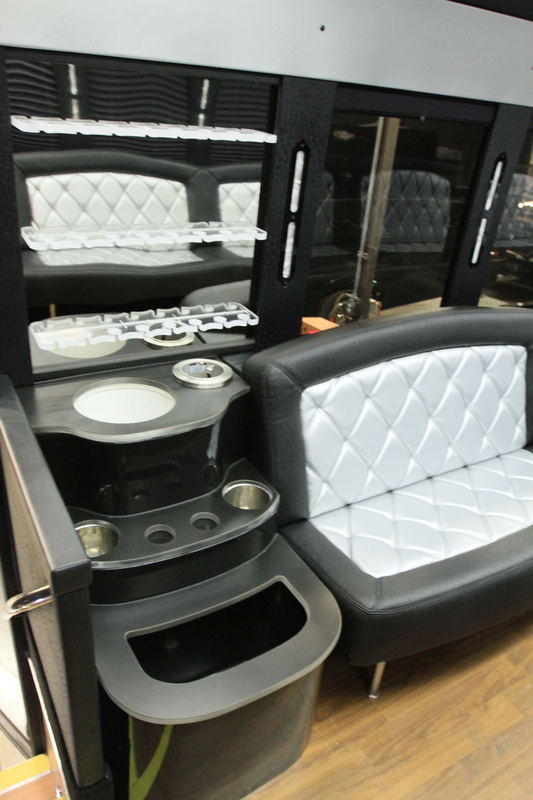 The limo bus is equipped with 4 Smart TV's, a blue tooth controlled booming sound system, touch screen control of all electronics, air brakes and state of the art A/C and heating system, a variety of light shows including lasers and fiber-optics among much more. 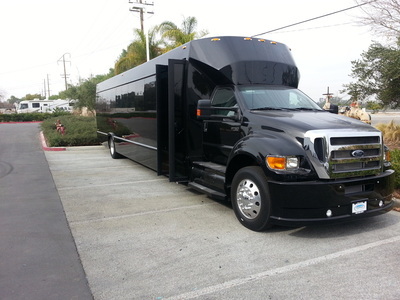 If you're looking to take your wedding, corporate outing or any event to the next level this is the limo bus for you!